The HoseSaver is designed to support hose up to 8” nominal diameter. 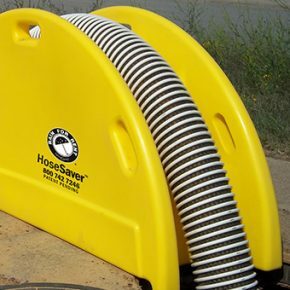 The dimensions of the HoseSaver prevent it from falling into a manhole, and the lip keeps the product in place. 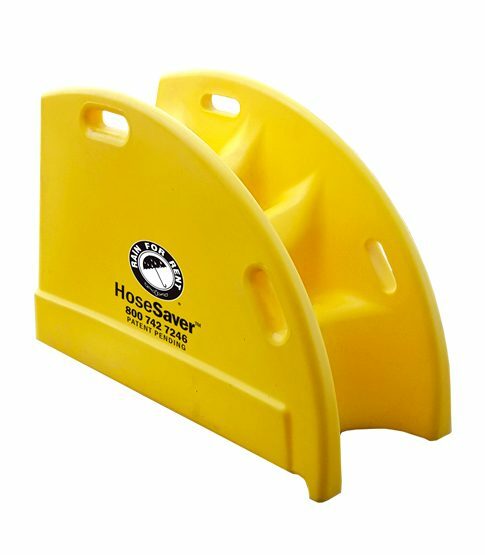 The HoseSaver is designed to be lightweight and easily handled by one person. The product has a radius to properly support hose of various diameters, and a cradle design to keep the hose in place. The HoseSaver is designed to support hose up to 1,000 lbs, including water weight. One curved channel supports hose up to 8” nominal diameter. Supports hose and reduces or eliminates the crimping of the suction hose that leads to premature failure. The lip feature ensures the product stays confined to the manhole. Bright yellow to provide high visibility. 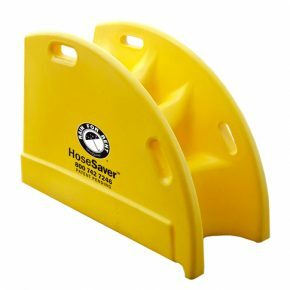 Lightweight construction makes HoseSaver easy to transport and be handled by one person. RampLox® – Modular and durable pipe/hose ramps.